Panels detailing his historic shows at Red Rocks Amphitheatre. A personalized tour jacket and stage outfit. The exhibit also includes a bronze bust of Denver plus panels detailing his historic shows at Red Rocks Amphitheatre. 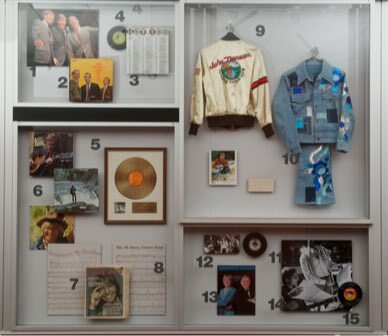 The Colorado Music Hall of Fame Presented by Comfort Dental honors the life and talents of John Denver as the Hall’s first Inductee in this special exhibit filled with artifacts from his estate’s personal collection. Born Henry John Deutschendorf Jr. in 1943, John Denver gained notoriety by beating out 250 others in an audition for the Chad Mitchell Trio. Becoming the lead singer of the famous group catapulted Denver into a successful career in songwriting. His songs became so popular in the folk music industry, that other prominent artists earned No.1 hits for covering Denver’s music – such as the classic “Leaving On A Jet Plane” sung by Peter, Paul and Mary. 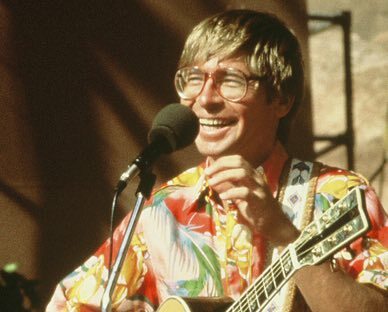 John Denver was a major advocate for environmental and social causes. He maintained a close friendship with Jacques Cousteau, the notable undersea explorer who inspired Denver’s work and philanthropy. He used his fame to create the Windstar Foundation in 1976, an educational center dedicated to sustainability and to bring awareness to the African food crisis in conjunction with UNICEF. 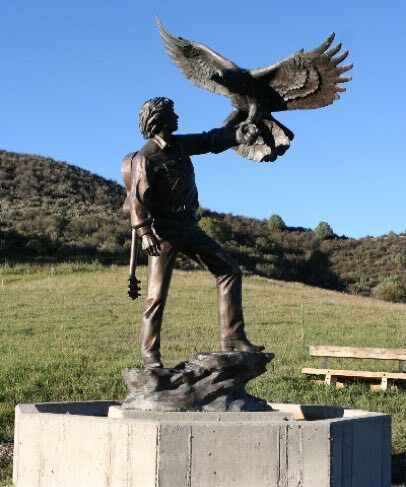 Located outdoors at the Red Rocks Trading Post, the impressive bronze statue of John Denver, guitar slung across his back and an eagle perched on his arm, stands 15 feet tall and weighs 1,500 pounds. It was commissioned by the Windstar Foundation he founded, to honor his symbolic relationship with Colorado. “Spirit” was created by sculptor Sue DiCicco in 2002. 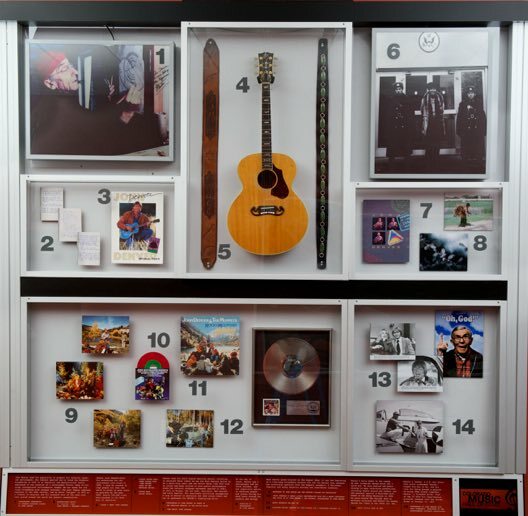 To experience the John Denver Exhibit in person, visit the Colorado Music Hall of Fame Presented by Comfort Dental, at The Trading Post next to the world famous Red Rocks Amphitheatre.